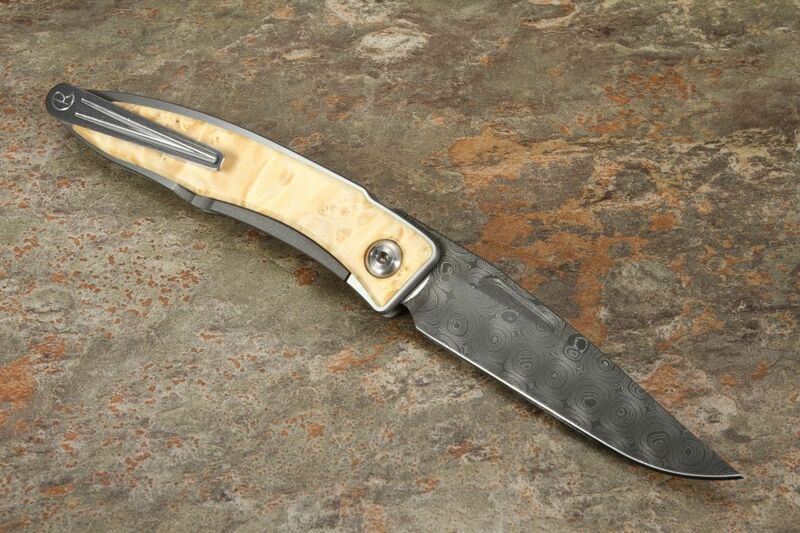 This upscale Chris Reeve Mandi is a great combination of stainless Chad Nichols raindrop damascus and box elder burl wood handle scales inlaid into the titanium frame of this precision folding knife. The Chris Reeve Mnandi is the classic gent's upscale folder. It has a refined design, high performance construction are all part of this folder. 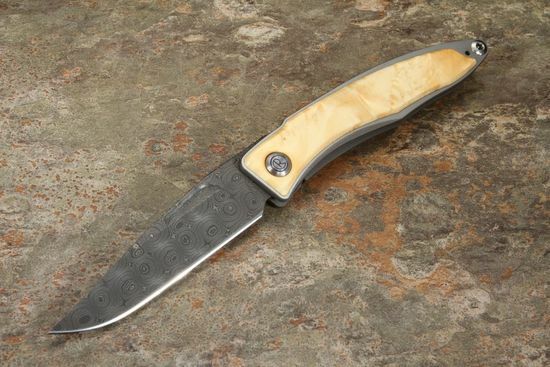 The long slender drop point blade is made from Chad Nichols stainless raindrop pattern damascus steel. The blade has a finger relieve or grove in the blade that facilitates easy one-handed opening. The top of the blade spine has jimping for a positive grip. The Reeve Mandi is built extremely rugged with a full frame of aerospace grade titanium with satin finished flats and a inlay of box elder burl. 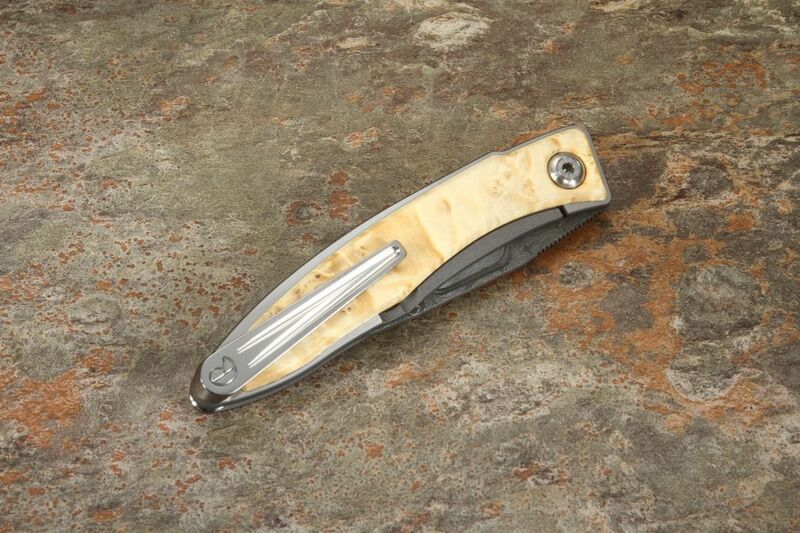 The gent's knife has a titanium pocket clip mounted for tip up carry. Very strong integral locking mechanism that Chris Reeve pioneered. High quality inlaid frame. We are an authorized dealer and ship the same business day your order is placed - order with confidence.